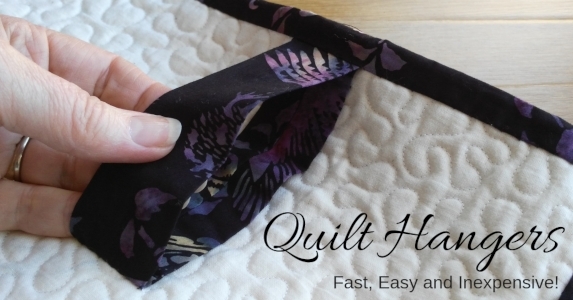 Free Instructions to Make Quilt Tabs for Hanging Your Quilt » What's Under the Needle? Note: When you signup, make sure to check your inbox to confirm your subscription so we can send you our PDF. Following this we will send you updates and special offers as well. If you no longer want these emails, you can unsubscribe at any time using the link in any email. Debbie, please add your email to the form under the quilt hanger image near the top of the page. Please send me Free Instructions to Make Quilt Tabs for Hanging Your Quilt.